Adam Equipment offers a choice of cables to connect a balance, scale, indicator or moisture analyser to a computer or printer. Cables include RS-232, and RS-232 to USB (nine-pin male to USB type A male) connector. Note: Factory-fitted cables are soldered directly to the scale circuit board and cannot be removed by the user. 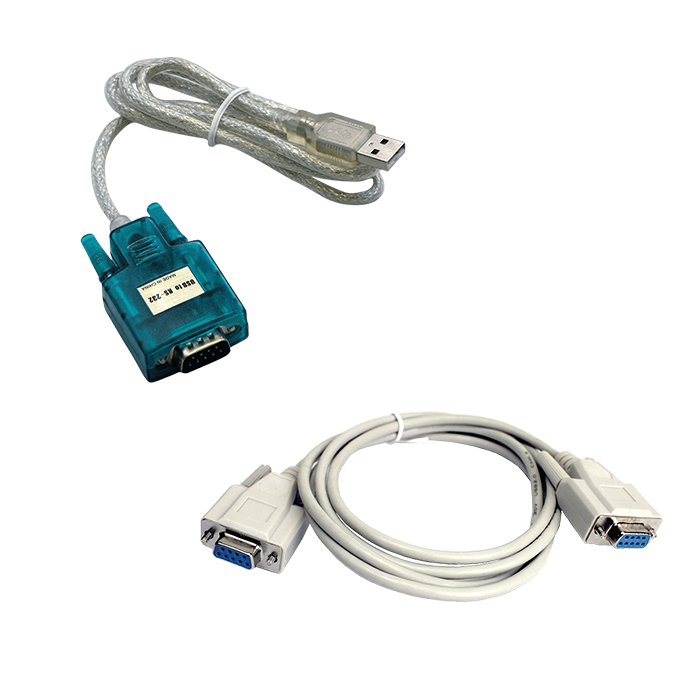 The Male to Female RS-232 interface cable allows for communication with printers and computers. The Null to Modem RS-232 interface cable allows for communication with printers and computers. USB cable allows for fast and accurate data transfer from the balances and scales to computers, printers and other devices. USB to RS-232 adapter converts the RS-232 output on the scale or balance to a USB. This enables the scale or balance to be connected to a computer for data transfer. The RS-232 interface cable allows for communication with printers and computers. Factory fit your scale or balance with a RS-232 cable to communicate with printers and computers. Factory fit the RS-232 Cable to pin D connector 1.5 to your product to connect it to printers, computers and other devices.